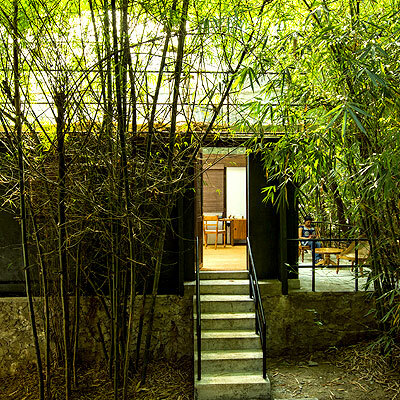 Made from rail sleepers and other recycled wood, each water villa has two floors. The spacious bedroom is upstairs. 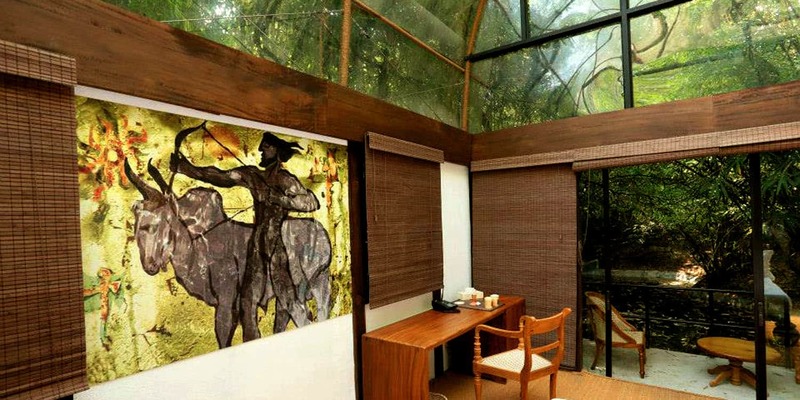 It has a king size bed and offers every comfort to appreciate the huge dramatic painting as well as the beautiful accessories, all created by Laki Senanayake. 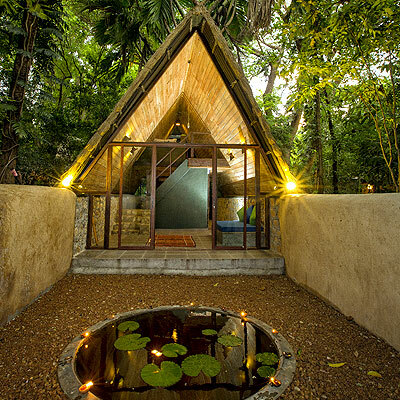 The artful en suite bathroom is equipped with a rain shower and a toilet. 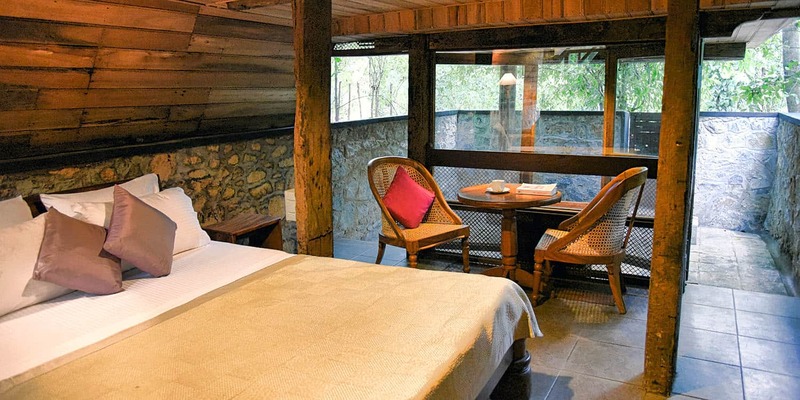 There’s a dressing area, and a balcony overlooking the lush forest. 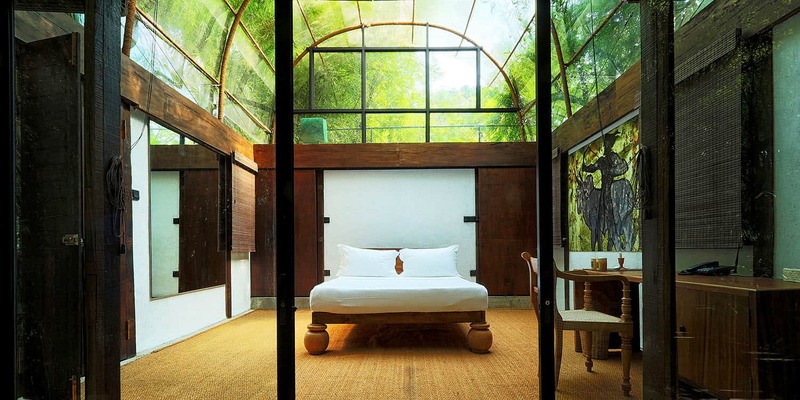 Another original idea of Laki: The Bamboo Grove villa has a semi-circular transparent roof under a canopy of bamboo – you can actually watch the stars of the spectacular night-sky from your cozy double bed. Water is flowing beneath the villa, which also has a balcony and an en suite toilet/shower. 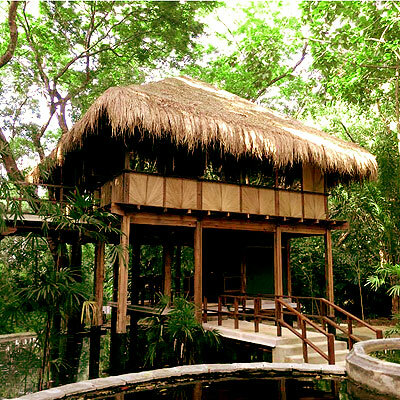 A truly original creation by Laki, the rafters of the tree house are living Arcunut trees. They have been trained to grow at an angle, thereby building the structure for the roof. The ground floor has a bedroom with a double bed, and a sitting area with a day bed. 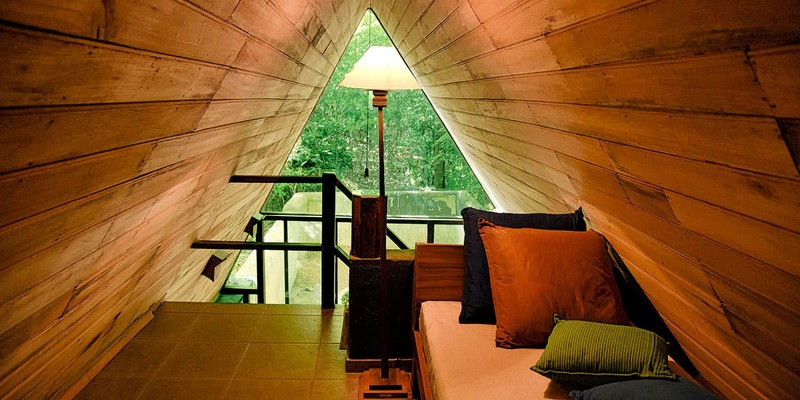 On the upper level, you’ll find a single bed under the living triangular roof. A bathroom with toilet on the upper level complete this “lookout”. 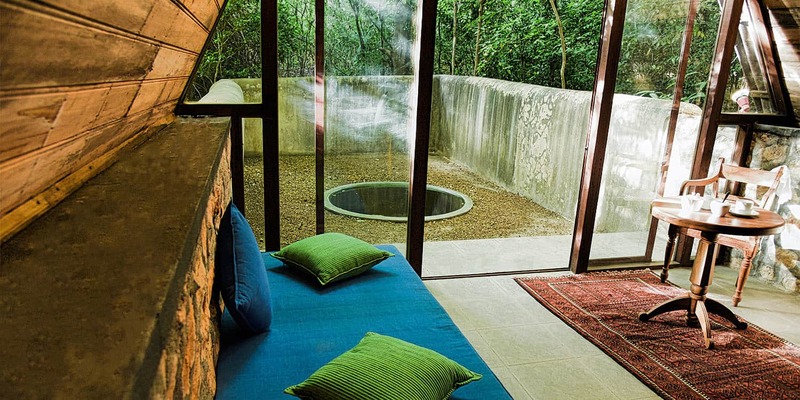 Enjoy your view of the walled courtyard, the pond and the forest beyond.